On a recent vacation, my family taught me how to play Mexican Train Dominoes. 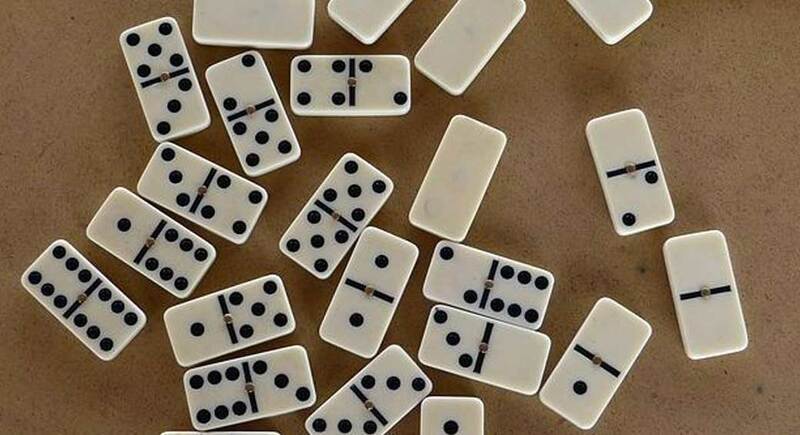 The game is a variation of dominoes which allows players to add to their own line of dominoes, their private train, or alternatively, add to a line of dominoes open to all, the public train. Players try to get rid of all of their dominoes before their opponents and keep remaining dominoes to low numbers. After several rounds, the winner has the lowest number of points based on the totals of any remaining dominoes from each hand. As I was new to the game, it took me several rounds to develop my own strategy. After settling on one that seemed to work, it occurred to me that my strategy had similarities to some of the key decision-making inherent in a small business. In addition to being a fun family game, Mexican Train Dominoes offer lessons for the small business. As I mentioned, in Mexican Train Dominoes, each player has a private train, which consists of a line of dominoes open only to that particular player. None of the other players can put down dominoes on someone’s private train. There is also a public train where all the players can put down a matching domino if they have one. As I organized whatever dominoes I had been dealt, I found myself segregating out the dominoes in my hand which worked on my private train from ones which worked on the public train. I could control the orderly play of my private train dominoes, but I had no control of what the public train opportunities were as the dominoes would change as players put down various combinations. In fact when running a small business, one of the most important components of any strategy is focusing on what you control. For example, you can’t control whether a competitor opens up a shop next door. However, you can control the decision to expand your own product line once the competitor opens up. You can’t control the consumer trend towards iPads and mobile devices. You can ensure that your website is responsive and mobile-friendly. After I was dealt my starting dominoes at the beginning of the game, I would find myself separating out the dominoes that I could match up and use in my private train into one pile. I would organize them into a line so as to match as many as possible, and I would move them around until I had one orderly line which I could use for my private train. My second pile would have the dominoes that I could not use in my private train, but rather would have to dispose of in the public train. Since I had no control over the public train, I would always strive to play any dominoes in my public train pile first. In effect, I was minimizing the risk I could not control, the playability of the public train. Similarly, for a small business owner, it is important to identify and minimize risks to the business that are outside of his or her control. One example might be a business that is a strictly brick and mortar storefront. A particularly precarious winter or nearby road construction can make access to the store difficult and imperil sales. However, in understanding the risk of being a brick and mortar business, the owner could develop an online e-commerce website for popular products or offer deliveries within a certain radius. 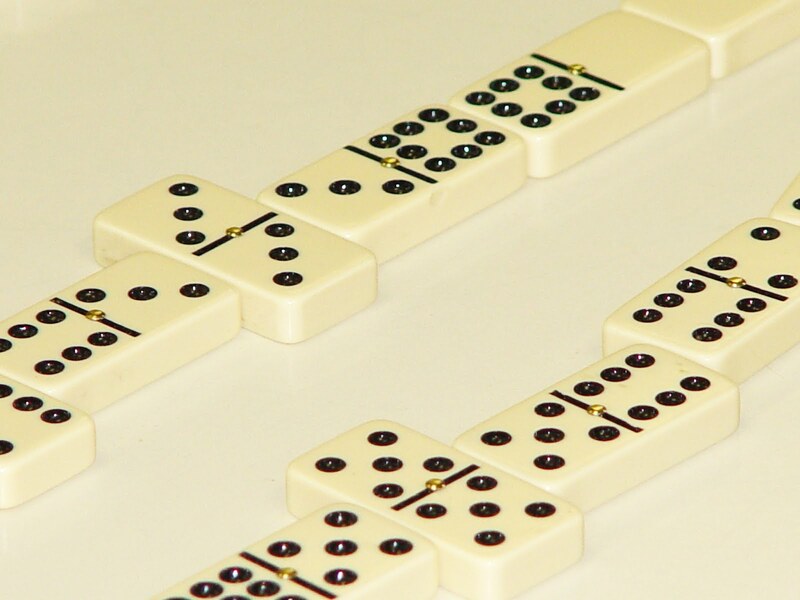 One of the rules in Mexican Train dominoes relates to the double domino, a domino which has the same number on each side of the line. If a player has a double domino, (s)he plays it perpendicular to the line of dominoes, and it must be followed by a regular domino with the matching number on one side. Double dominoes can be critical to a winning strategy. First, they allow a player to put down two dominoes. 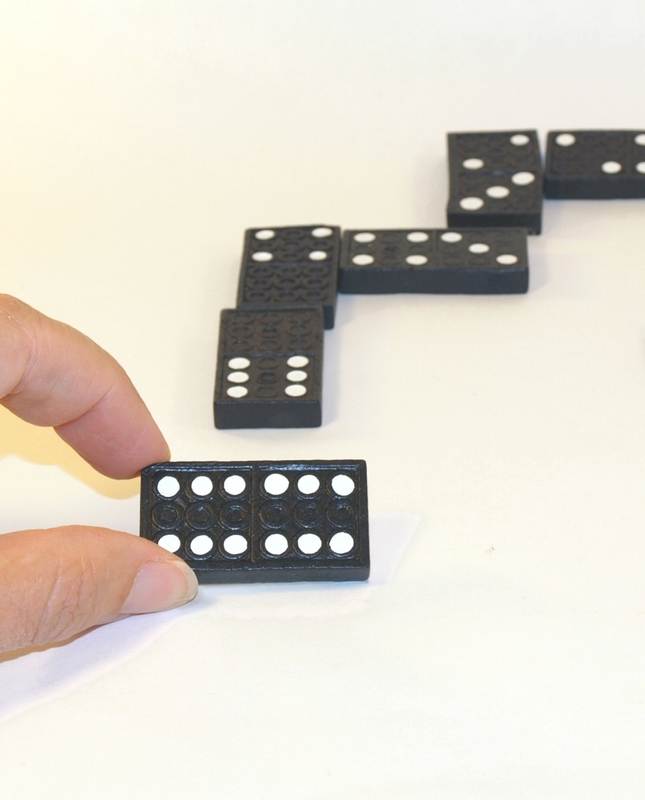 In playing a double domino, a player can quickly decrease the point value of the dominoes left in his or her hand. Strategically, the opportunity to play a double domino should not be missed, and if possible, it should be played early. Similar to playing a double domino, a savvy business owner will leverage the assets of the company to gain a competitive edge. The assets might be personal contacts or an alumni network. Social media is an excellent way to leverage and broaden the audience for marketing campaigns or promotional offers. A small business can also leverage a customer relationship in one business line into another area and grow the overall business with the client. Clearly, Mexican Train dominoes is not just amusing child’s play. There is some luck of course, but also plenty of strategy. The next time you have an opportunity to enjoy dominoes, remember the small business lessons implicit in the tactical side of this clever game. And if you could use some assistance identifying and focusing on strategic areas for your business, minimizing risks outside your control or just leveraging what you have, contact us. We will help you develop a winning strategy!